Last night I went to my first party of the holiday season. 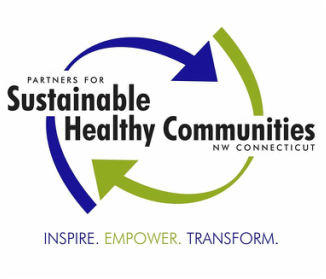 It was an open house hosted by the Litchfield Hills Food Systems. It was a delightful evening complete with a light supper made of Connecticut Grown ingredients. Everything was delicious: Salads, Soups, Cheeses, Desserts ... and yes, I sampled it all. I thought I'd share with you one of the wonderful salad recipes from the evening. Put lemon into the bottom of a separate bowl and add apple slivers tossing gently to coat. Combine apples with cabbage mixture. Toss occassionally over 1/2 hour to distribute flavors, then refrigerate. Combine cranberries just before serving or they will turn the salad pink (OK for flavor, but not as pretty). Serve cold or at room temperature. This dish is "Table Stable." Can't wait to try this, sounds great. It really is invigorating. I love it.